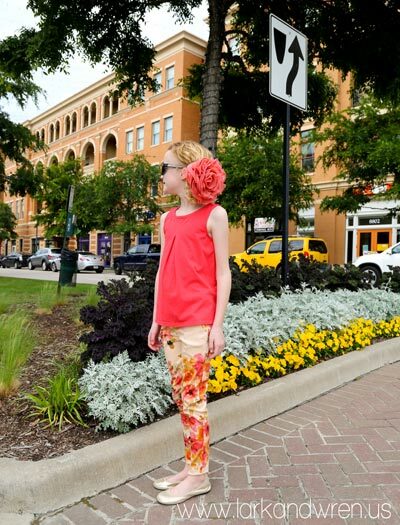 To finish up Kid’s Clothes Week: Wild Things, we decided to make a pair of skinny jeans: wild flower style. 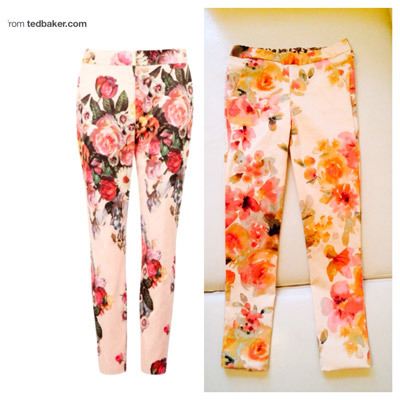 Floral pants have been all the rage lately showing up in magazines, in stores, on Pinterest, and in the streets! 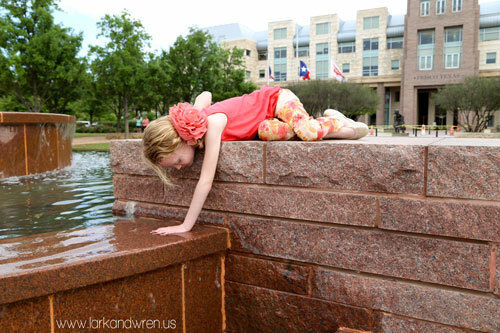 It was only a matter of time before we took on the challenge! I had some lovely coral floral fabric from Joann’s that I had purchased for a jacket (as it was a bottom weight) that would be perfect for the project. And it was definitely going to be a project, as I had never made a pair of pants before! 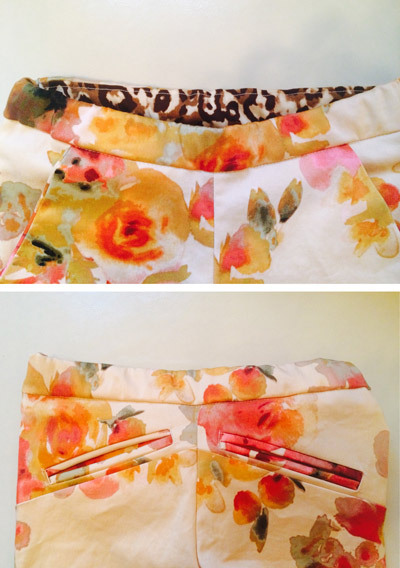 After searching for days, literally days, I found a pattern that I thought would be able to be the foundation for the floral pants. 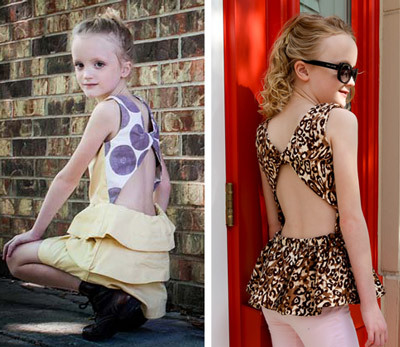 Believe me when I say that there are not many skinny pants patterns for young girls (or boys) out there! I ended up going with the W Pants pattern by Blank Slate Patterns. 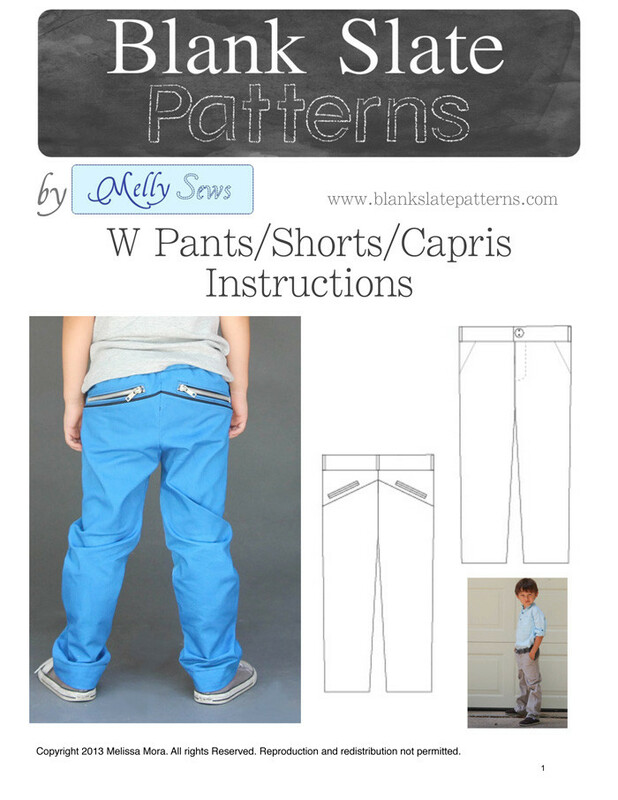 The pants have some pretty significant slouch to them (perfect for young boys), but they offered a unique slanted pocket design with instructions for welt pockets included. I knew I could alter these to make the perfect skinny pants! Slimmed the pants from the hips to the ankle in 2 diagonal lines that were about 1 inch (plus seam allowance) larger than her actual leg measurements. Overall, I think they turned out fantastic! I was especially proud as they were my first pants ever. If I had time to do again, I would make them even smaller in the bottom as they stretched out a little. 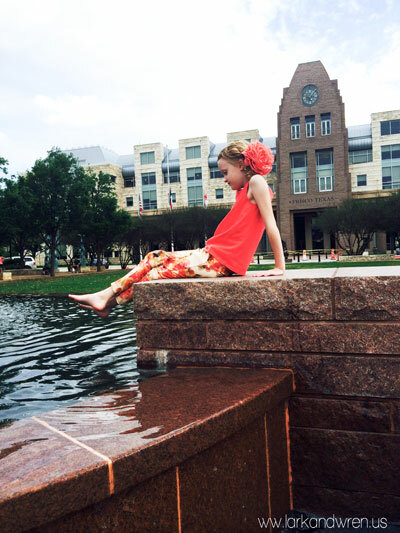 Here are some great shots from the, plus our inspiration!